Child’s Bible, A Timeless stories from the Bible, written with the very young in mind, providing a perfect introduction to the Bible. 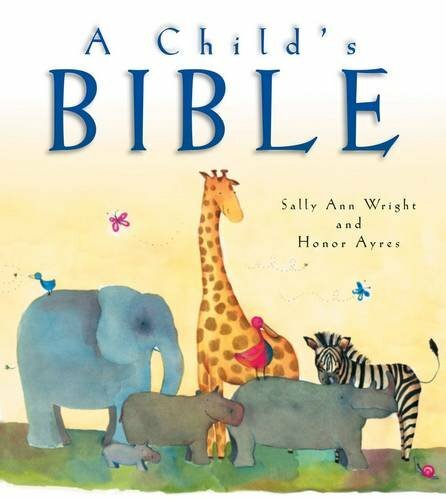 A Child’s Bible by Sally Ann Wright and Honor Ayres, combines engaging storytelling with charming water colour illustrations. Children will love reading the stories from the Bible, each story representing the Bible as the story of God’s relationship with his people. This Bible makes a perfect child’s gift with its modern clean illustrations and timeless text – it will truly be treasured by both children and adults. Formally the ‘Hodder Children’s Bible’.